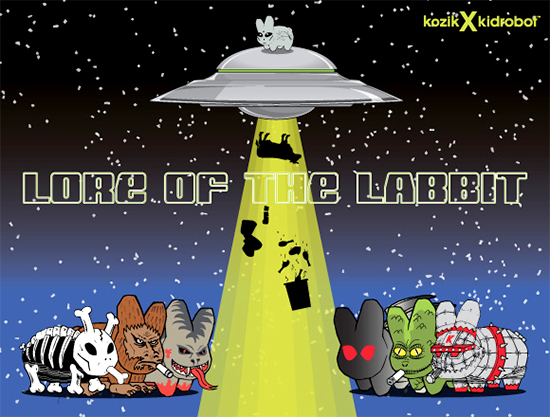 Frank Kozik has once again worked together with Kidrobot to bring you a whole new batch of amazing new “The Lore of the Labbit” blind box set, which features 18 mythical myths in vinyl form. Featuring designs like sasquatches, yetis, aliens, kind lizards, and other urban legends, these 1.5″ Labbits are just as collectible as they are grotesque! These awesome new Labbit designs are available now at TOMODACHI, both in-store at our Rosedale Shopping Center location as well as our online shop! Make sure to stop by and pick up a brand-new Labbit design for yourself!